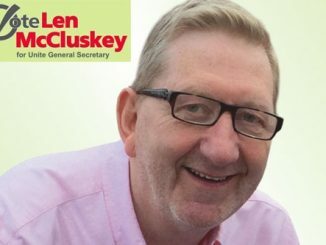 The fight over who will be the next leader of Unite is important for the direction of the labour movement in Britain and for the leadership of the Labour Party. 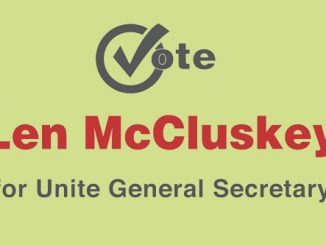 On both counts Len McCluskey should be supported in his bid to be re-elected as General Secretary. 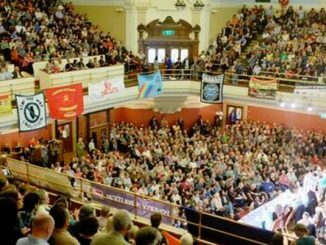 Unite the Union is holding an election for its General Secretary in 2017. As the Tory government heads towards a hard Brexit and tightens austerity, Unite needs a strong leadership that fights to defend people’s jobs and living standards. The conflict that erupted between UNITE and the Labour leadership over the union’s decision to sponsor a range of candidates in the current round of Parliamentary has provoked a new round of assault on the union link with Labour. The decision by Ed Miliband to take the opportunity of the spat to push through changes to the unions’ affiliation to the Party has been cheered on by the Blairites and the right-wing media, for whom an ‘opt-in’ ballot and the elimination of the unions’ 50 per cent of the vote in the London Mayoral selection are just initial steps. In the face of an increasingly belligerent management approach, intent on seeking a confrontation with the union, Unite cabin crew members began seven days of industrial action last weekend, with three strike days set to be followed by four further days to begin this coming weekend. The stakes in this dispute should not be underestimated. The dispute focuses on the union’s opposition to British Airways’ attempt to impose significant contractual changes on the workforce that would reduce pay and conditions. Proposals include the extension of working hours and the cutting of crew levels. The union has not sought such a confrontation and has consistently made clear its willingness to negotiate. In contrast, BA’s management have set a path of belligerence, intent on breaking the union’s strength. Having deliberately provoked the current action by tabling last week a worse offer to its workforce than the one it had been offering previously, the management have further sought to intimidate staff not to join the strike action including with threats such as losing travel privileges and even being sacked, and to organise scabs.